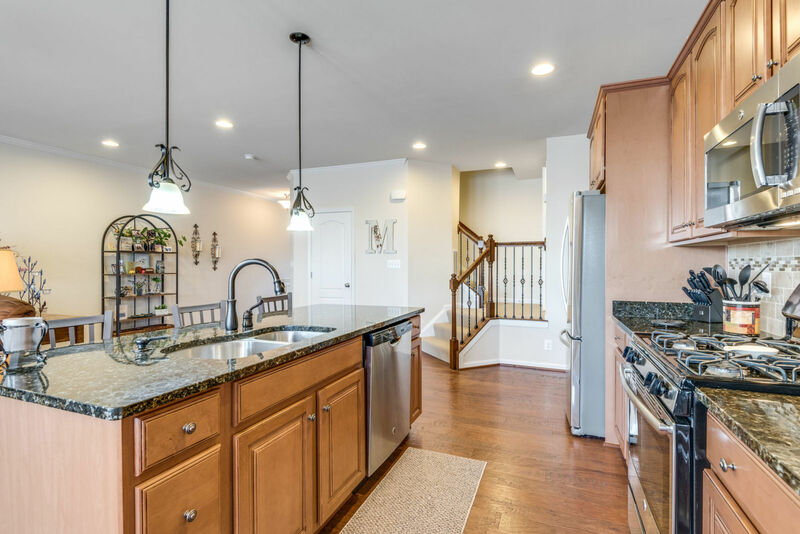 Selling your home might look and sound easy on the surface but, behind the scenes, it’s complicated with a lot of details and hurdles to work out. Far too often I hear of someone who hired a real estate agent only to be completely unsatisfied, let down, or downright angry with how the sale turned out for varying reasons. Selecting the right agent to sell your home is a very important decision. Many people work with the first agent they come across with, and that’s recipe for disaster. When you’re talking about selling (or buying for that matter) one of life’s biggest investments, you want to work with the best of the best. Selecting a real estate agent because they’re a family member, friend, or any other reason that isn’t tied to their skill, level of service, and how they conduct business is a mistake. Ask for recommendations, do your research and conduct interviews to find an agent you not only know is qualified for the job but, who is also an agent you like and trust. One of the signs you should be looking for when looking for a quality real estate agent is the questions they ask you. Chances are, the more the real estate agent knows, the more questions they're going to ask you. I’m not talking about putting a sign in the yard or putting your home in the MLS. Those are basics. You want your home to sell for top dollar in the shortest time possible and that means you want an agent who has a custom marketing plan for your home. Ask to see what the agent has done to market their past listings. Seeing examples of their work will show you if it’s the quality of marketing you want for your home. Check to see how they market homes. Do they use direct email campaigns? How often would they advertise your home? 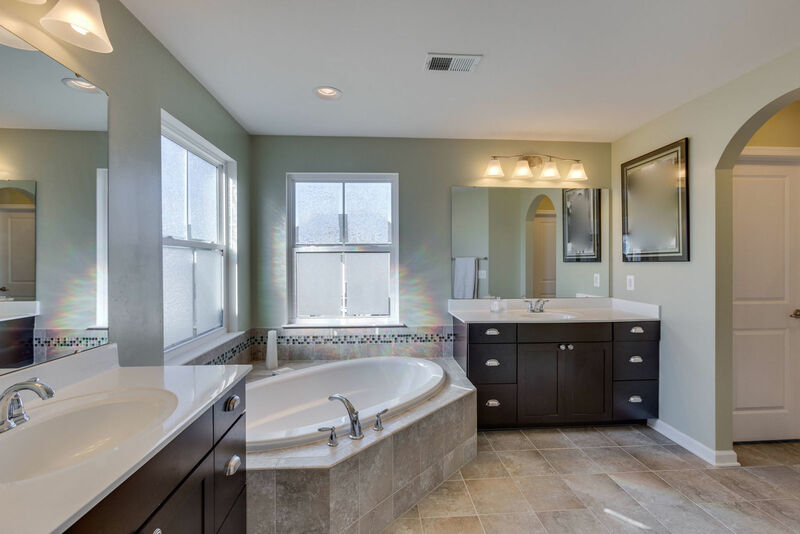 What kind of photos would they use to make the home you are selling more appealing to potential buyers? Are the photos high quality with the right lighting? 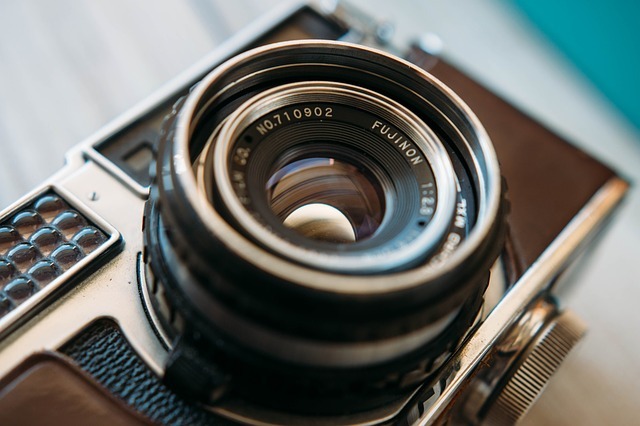 Photos are essential since these will be the primary visuals that potential buyers will see before they decide to visit your home for viewing. How would the staging be? 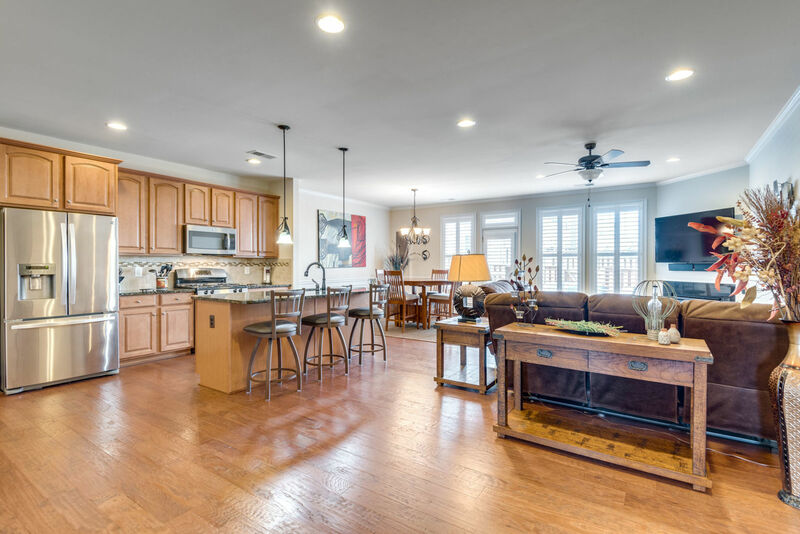 Staging is also important since this would be the initial preparation of your home to make a lasting and positive first impression on potential buyers. Do they have a well-established blog that ranks well with Google? Having a highly visible blog on Google will definitely increase the chance of your home to be bought in no time. The more visible the real estate agent's site is, the more people will be able to view the home you have for sale. Do they target market on social media? Aside from online marketing, a good real estate agent would think of other things to increase the visibility of your home. They could set up an open house so that potential buyers can get a better look and feel of the house that's for sale. Have they thought about who is likely to buy your home? If you have a 1 bedroom, 1 bath condo, the odds of a family with children purchasing it aren’t high so you need an agent that knows who and how to target. Marketing is not just throwing things against the wall to see if they stick. Effective marketing should be planned out from start to finish, and a good real estate agent will be able to see the potential problems you could encounter along the way. Next up is determining a suitable price for your home before you put it up for sale in the real estate market. Pricing is a key component of a listing agent’s job. In order to determine the proper price for your home, a real estate agent must create a comparative market analysis. This would help them gauge the worth of your house by means of comparison with other homes for sale nearby. 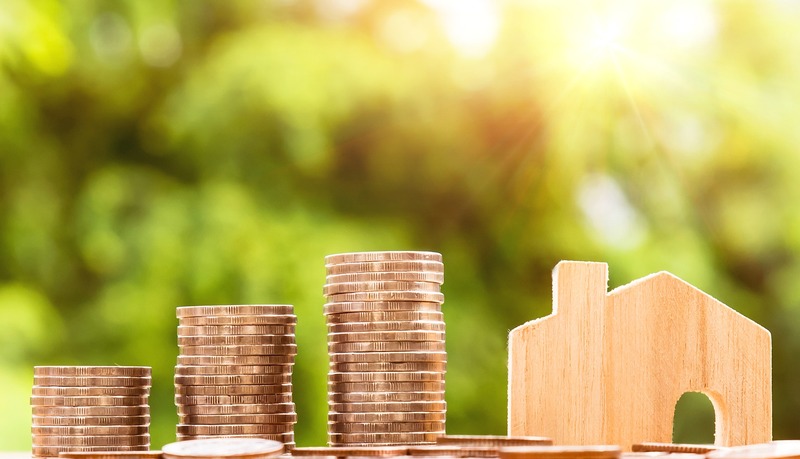 Having a comparison, you will have a better idea of what your house is actually worth, and how much people are willing to purchase your house. An agent has to price your home just right and that means they need to understand the current market and be able to thoroughly research and correctly interpret data. Data is readily available to the public but, data is worthless if you don’t know how to analyze and correctly interpret it. Ask the agent why they think your home is worth the amount they tell you. If they’re a great agent, they’ll be prepared to show you the data and then explain it in detail. And please, do not just go with the agent who gives you the highest number. Although a high price does sound attractive for you financially, remember that your home is only worth what a buyer is willing to pay and if an agent gives you a number that isn’t supported by market data, your home isn’t going to sell. 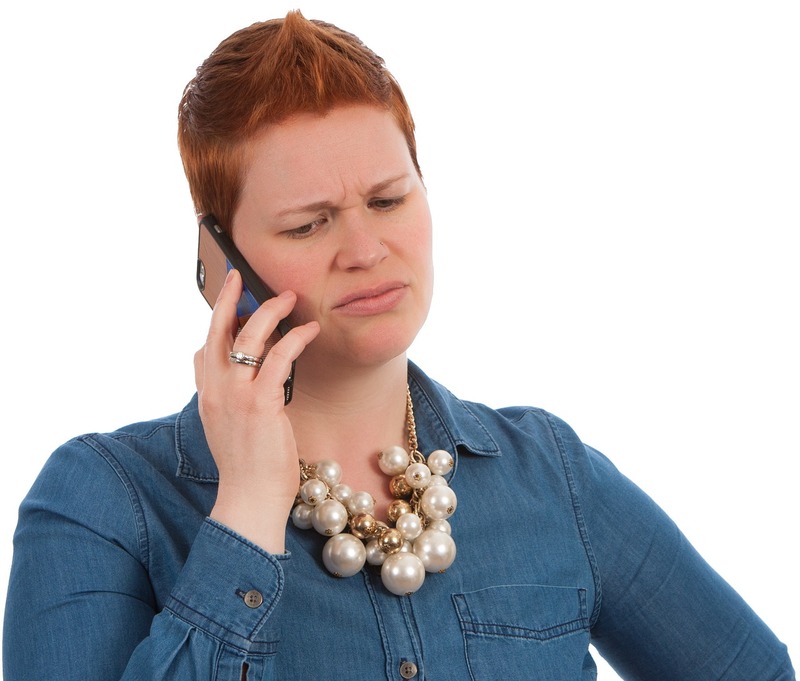 There are unfortunately some agents who will tell you what you want to hear just to get you to agree to list with them and then you’ll be facing a price drop when your home doesn’t sell. Determining a real estate agent's ration depends entirely on the market. If you are comparing agents and ask this question, you will get an idea of how accurate the agent is on pricing a home and how well they can negotiate. Remember, a good real estate agent has the capability to haggle sales prices that are close to the list prices. 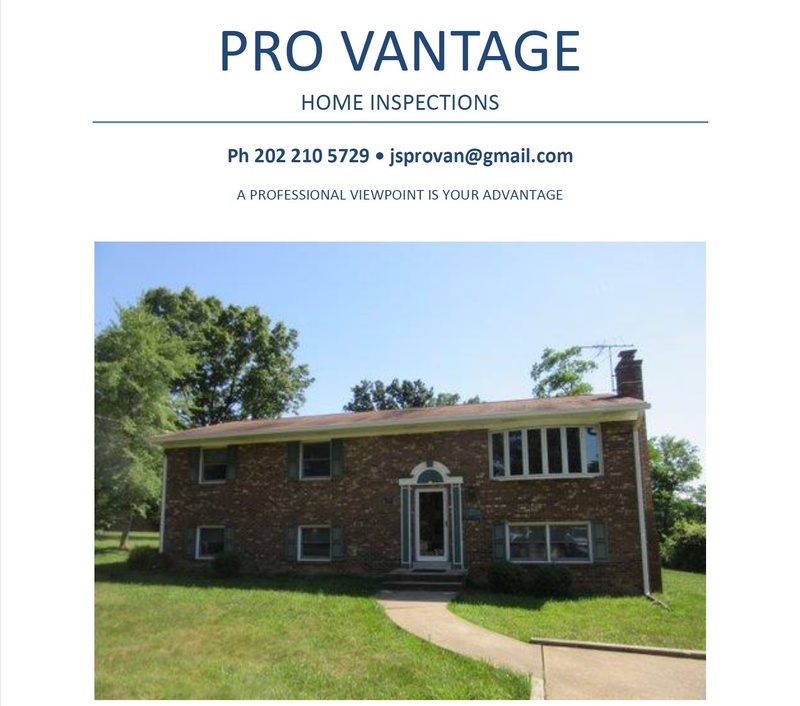 Be sure to ask for the ratio from the original list price. Working with an agent who has a strong sale to list price ratio average can be the difference in thousands of dollars. For example, with an average sale price of $500,000 - if one agent has an average sale to list price ratio of 95% and another agent has one of 97% that’s a difference of $10,000! 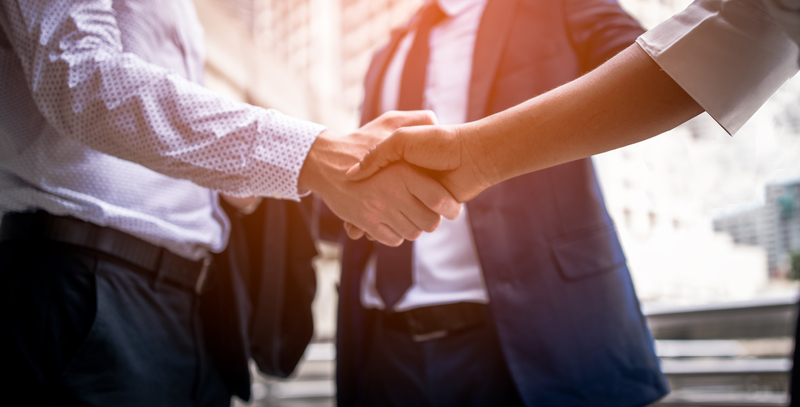 You’re entering into a relationship when you hire an agent to sell your home and while it might be tied to business it’s like any other relationship – good communication can be the difference in success and failure. As a seller, you need to be in the loop and be constantly updated with what's happening with your home for sale. 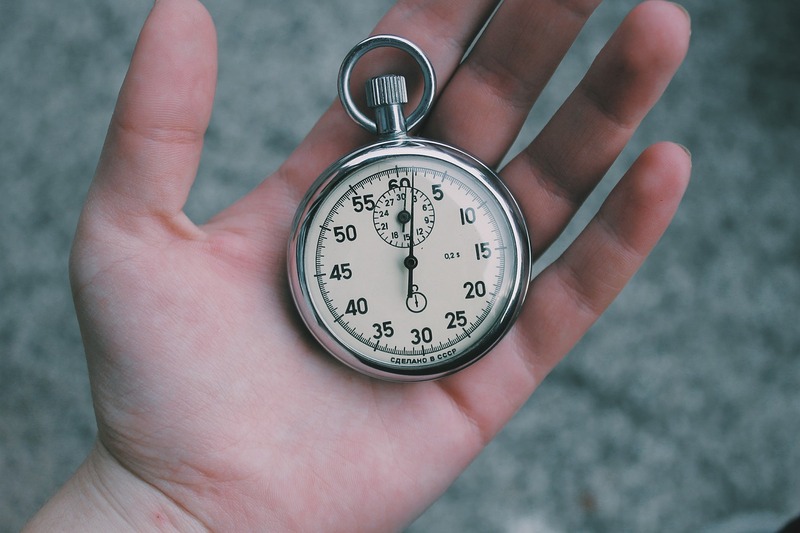 Your agent should be able to tell you how often you can expect to receive updates, what hours of the day you can contact them, how long you can expect for it to take them to respond, and what methods of communication they use. Most of the time, real estate agents fail to give updates to their clients and would only contact them once an offer has been placed. Even though an offer hasn't been placed on your home yet, your real estate agent should be able to give you updates on what people are looking for in your home based on previous viewers. This way, you could make the necessary improvements in your home and be able to sell it as soon as possible. An excellent agent is going to ask you what methods of communication you prefer because they’ll want you to feel comfortable and well informed. Some real estate agents would offer to send you emails, give you daily calls, while others are even willing to go as far as seeing you personally to let you know the status of your house for sale. Another question to ask about communication is if you will exclusively be working with the agent or if the agent has a team that will be involved. If you want to work with an agent who operates their business by providing exclusive contact with you this is an important question to ask. There is no right or wrong answer, it’s just a matter of what you are looking for in an agent. Not every agent operates their business the same way. I think this is the most important question you can ask an agent. 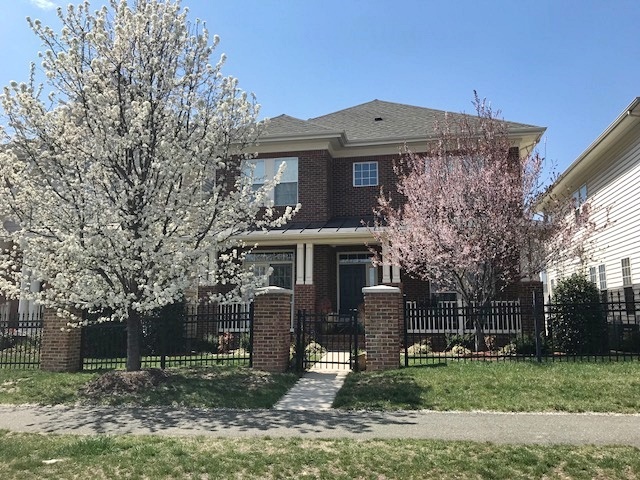 Anyone can ask how much you want to sell your home for, how many beds and baths it has, or even what you want in a new home but, an agent’s priorities and mindset are exposed by the questions they ask you. As with any other professional, not all agents are created equal. An agent who takes the time to get to know you, learn about your goals and what your priorities are is priceless. What differentiates a good agent from a rock star agent is their ability to learn, understand, and deliver the level of service you’re looking for. There are still a whole lot of other questions you could ask a real estate agent before you decide to hire them. This is far from an all-inclusive list of questions to ask an agent when it’s time to sell your home. These items are here to give you an idea of where to start to get a dialogue going with the agents you select to interview. Do your homework and work with an agent who you trust and feel confident will not only provide your home with the best marketing but, who will also provide you with the best service. 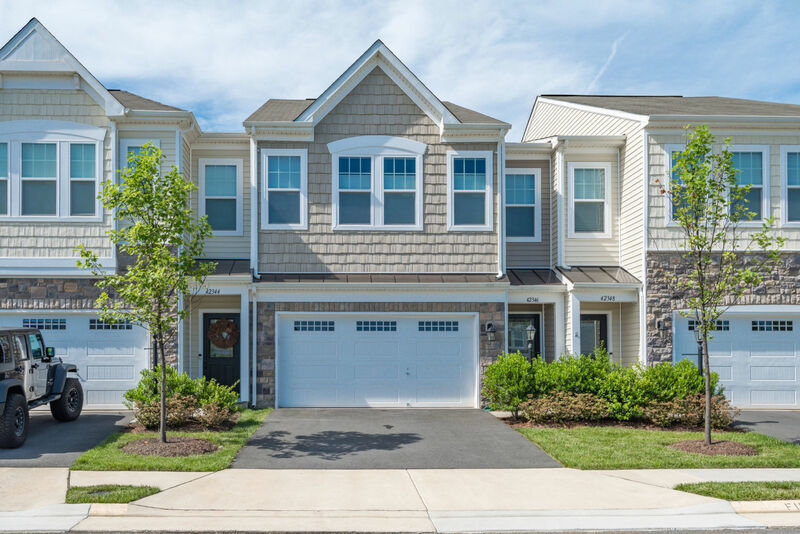 The story of low inventory in Kingstowne continues. Supply is not keeping up with demand and sellers are enjoying close to a 100% sale to list price ratio. Inventory is needed in Kingstowne and surrounding areas. Let's look into the details of the current market. It is a seller’s market in Kingstowne. 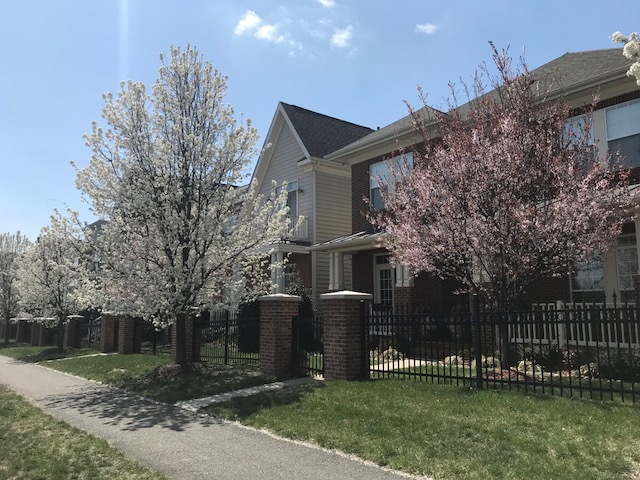 There are currently 41 homes for sale, 14 of which are located in The Crest Of Alexandria, a 55+ active adult community. 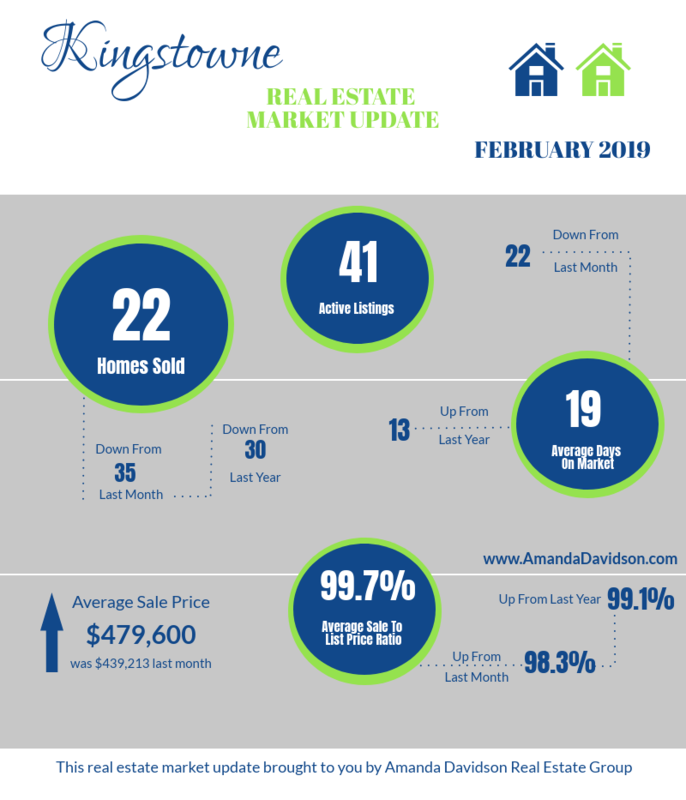 While there is still less than a one month supply of inventory there are a few more homes on the market as compared to January. By no means is inventory plentiful, not even close. 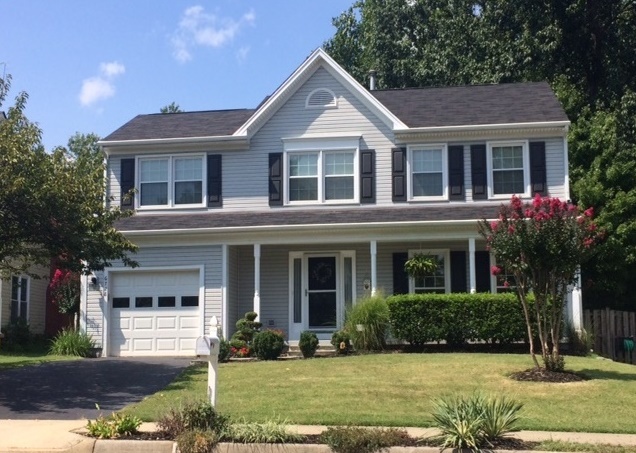 It remains a prime time to list your Kingstowne home for sale. 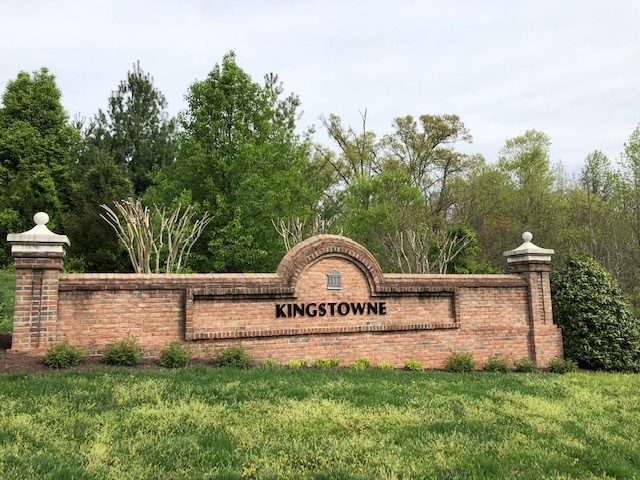 Kingstowne housing inventory remains very low, and listings are needed. Buyers have to put their best foot forward in the current market conditions and be prepared to act quickly. 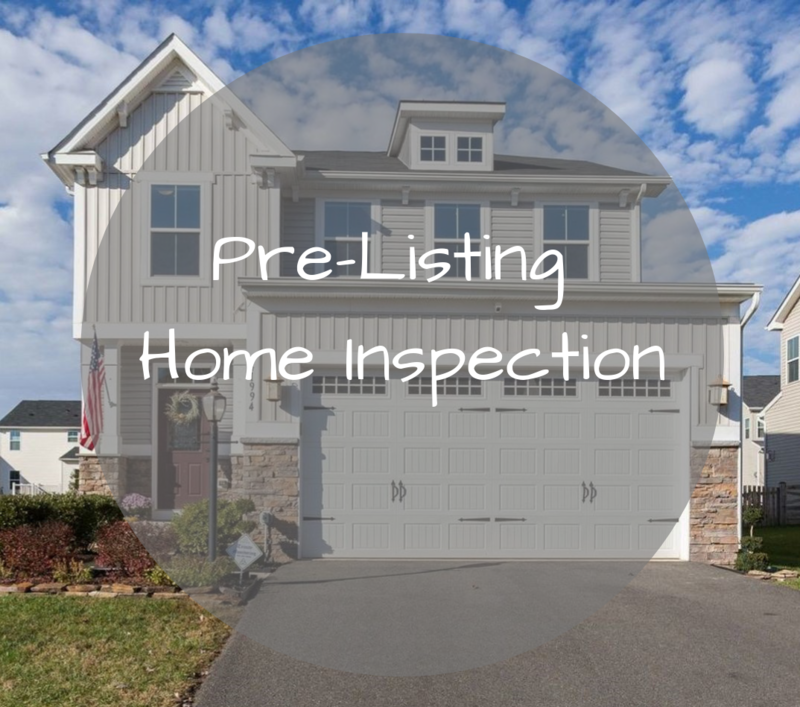 Sellers, however, can’t overlook the details that go into listing a home. Buyers are looking for homes with a reasonable amount of updates and that show well. Deliver the product buyers are looking for and with the proper marketing, you will see a quick sale for top dollar in the current market. As a buyer, you have to be prepared to make an offer when you find the home you want – waiting for days to think it over just won’t work, it will be gone. Work with an agent who has the availability to tour homes with you as soon as they become available and who has experience navigating competitive markets. Low inventory increases the odds of other buyers being interested in the same properties and factoring that into your strategy is important to achieve a successful purchase. 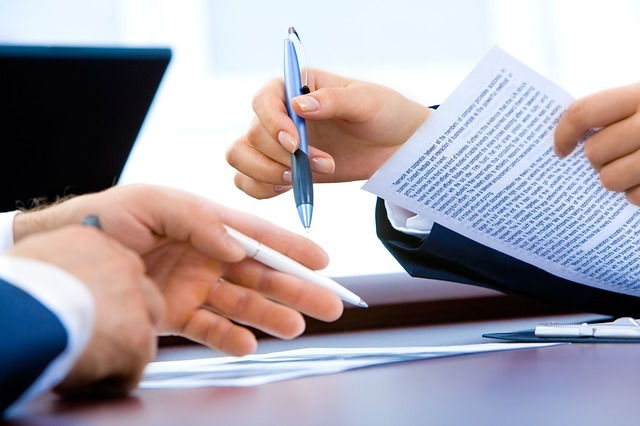 Read more about how to make your offer stand out in a bidding war. Receive a free home value estimate within minutes by visiting www.northernvalocalmarketvalues.com. Our home value tool is just a guide, and to be used solely to receive an estimate. 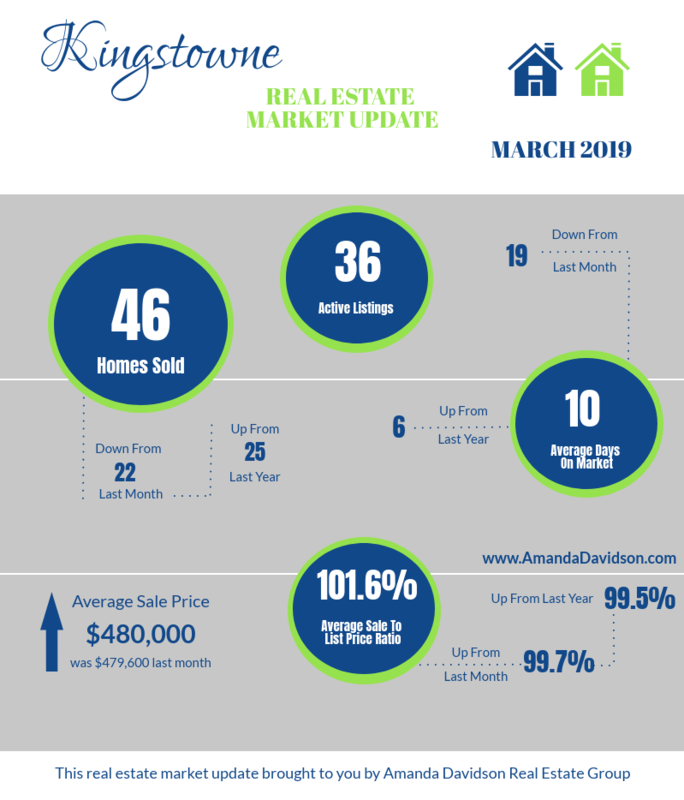 If you’d like to receive a free current market analysis for a precise value of what your home could sell for in the current market reach out to me and let’s connect! 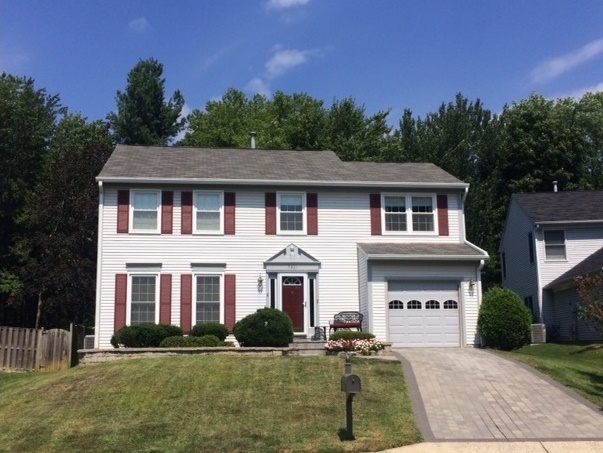 703-431-3755 or amanda@amandadavidson.com. If you think taking a few random snaps of your home for sale is alright, then you might want to think again. Most of you might be thinking, "what matters is what the house looks like in person, not what it looks like in the photos." However, pictures can make or break a home sale. The first place potential buyers are going to see your home is online. Gone are the days that the first impression is when they pull up for a tour inside your home. I’d even venture to argue that the first showing for your home occurs online. 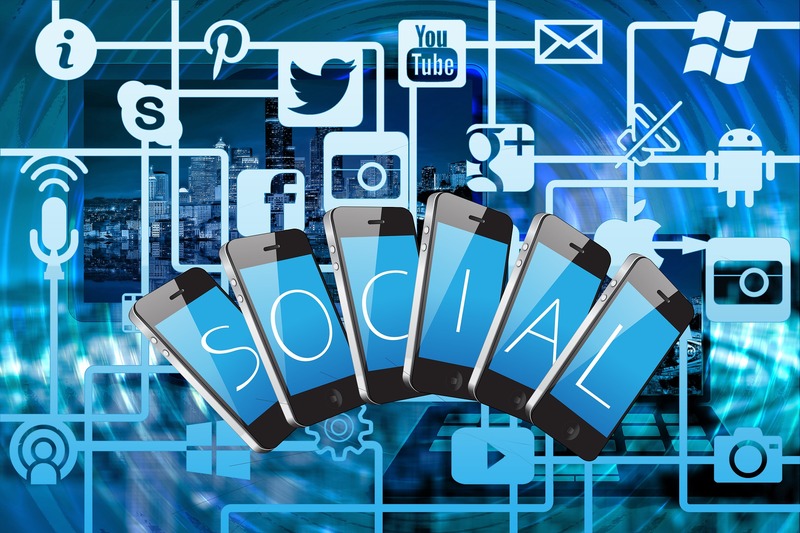 Since we live in a technologically advanced era, people will take advantage of the convenience that the internet has to offer and check your home online first to see if it's worth their precious time. If buyers don’t like what they see online, chances are they’re not going to come to see a home in person. You want to make sure your home is staged and ready for picture day. 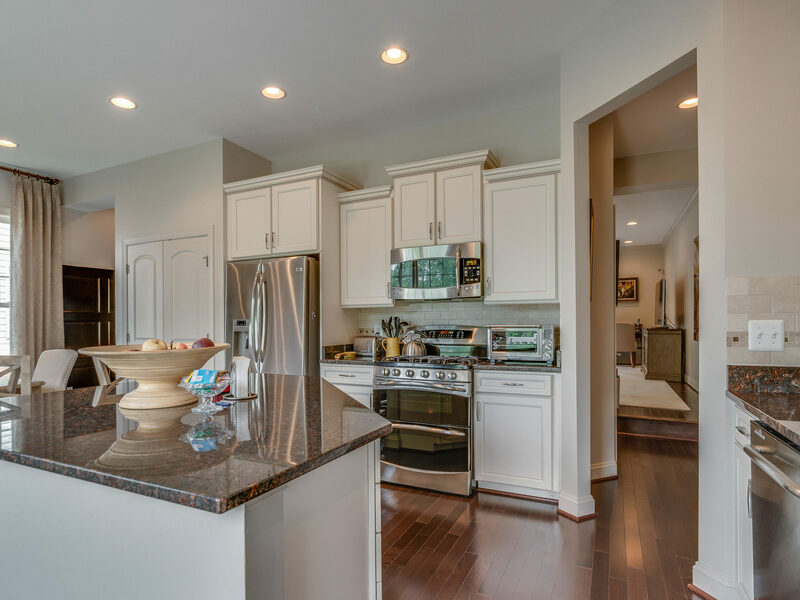 Below are tips about how to prepare your home for photos as well as what key areas of your home you should be focusing on dolling up for potential buyers. Although having plenty of furniture inside your home might look appealing for you, it's actually not as appealing as it is for potential buyers. Rooms that are packed with furniture will not only appear small in photos, they’ll also appear small for showings. Less is more. Work with your agent or your stager to determine which pieces should stay and which pieces should be removed. Anything you remove for picture day should stay out of the house for showings as well. Leave the task of filling up the room with furniture for the buyer. It's your job to make the house look like a beautiful blank canvas for them to paint on. Countertops photograph best when they’re clear. Again, this creates the illusion of space and cleanliness. For the kitchen, this means small appliances, paper towel holders, cutting boards should be the only things visible. Clunky items such as knife blocks need to be removed or stored away. In the bathroom, take the toothbrushes, soap, makeup, lotion, and any other personal items off the top of the vanity and put them out of sight. The same goes for nightstands and dressers – have their surfaces clear. 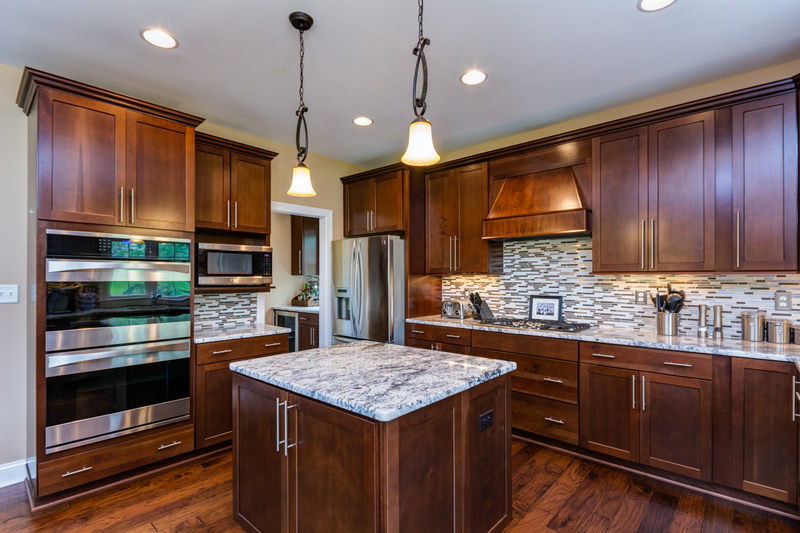 The fewer clutter countertops have, the more appealing they are for potential buyers. Think of it this way, if you were the one viewing your home, do you think it is necessary to see all those objects placed randomly all around the house? No magnets, photos, artwork, or calendars allowed. Have the exterior of your fridge completely clear to give a clean and classy impression of your kitchen. It should stay this way the entire time your home is on the market, as well. While it doesn’t have to be done for picture day, don’t forget that when it’s time for showings, the inside of your refrigerator needs to be organized and clean. No one wants to see the leftover meal you had from two days ago. It's just downright unhygienic. Make sure the exterior of all the cabinets in the kitchen and bathrooms are clean. Wipe them down as needed prior to the photographer arriving. Pay close attention to spills, drips, and dried toothpaste. Potential buyers never want to see a dirty home as this would entail that they would have to clean up more once they decide to buy the house. Shampoo and conditioner bottles, soap, razors, and anything else inside the shower or tub need to be removed. Showers and bathtubs should be completely clear including anything hanging on the wall. If you have glass shower doors, wipe them down and remove any soap scum or water spots. Again, you'd want your house to look as if it's brand new for its next owner. Go through your entire house and replace any burned out lightbulbs. Consider replacing bulbs that don’t put off bright light to achieve better lighting the day of photos. On picture day, turn on every light in your home. 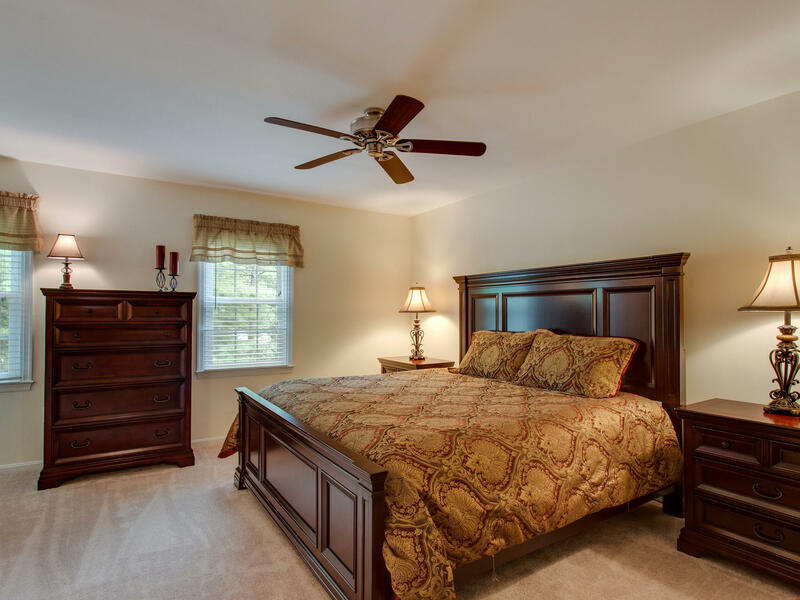 Lights on ceiling fans should be on too but, the fan itself should be off. Better lighting would result to better photos. 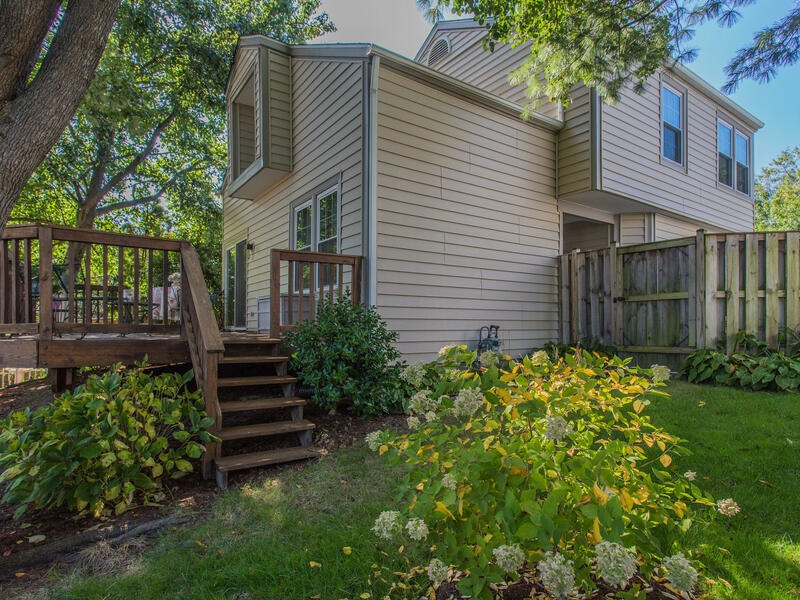 Better photos means better chances of reeling in a buyer. Entryway, hallway, and bathroom rugs need to be removed for picture day. 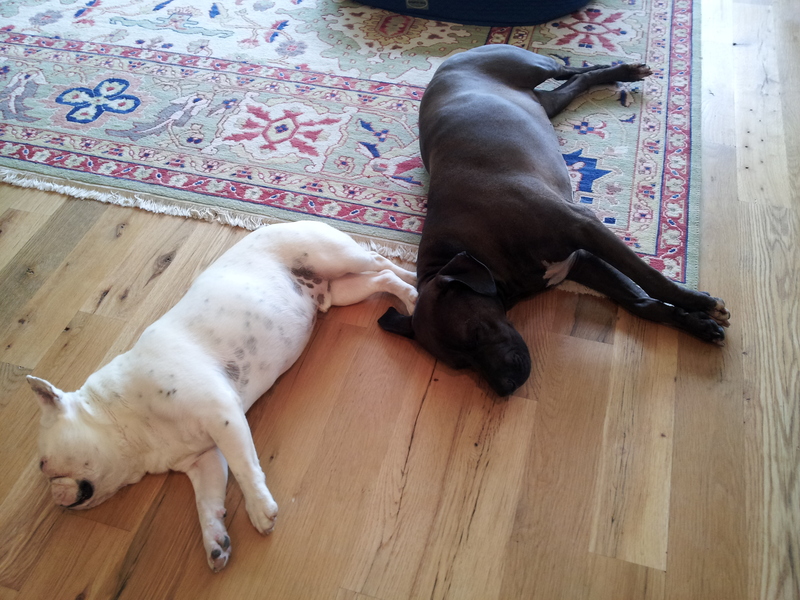 Having them on the floor causes rooms to look small and cluttered. It also gives the impression that the house is untidy which is why there's always a need for throw rugs. 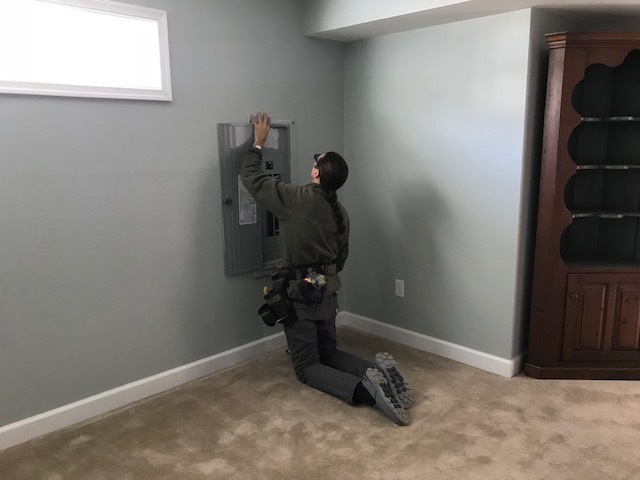 Lamp, TV, and electronic device wires should all be concealed. If that’s not possible, at the very least, they need to be wrapped neatly and zip tied to avoid being an eyesore in photographs. Imagine, if you get irritated at the sight of unruly wires from your computer or television, what more would potential buyers think? Also, loose wires tend to accumulate dust and dirt. We wouldn't want those to show in the photos. Every bed needs to be made, not just your everyday make-your-bed routine. Take time to make sure the sheets and blankets aren’t showing from under the comforter. Smoothen the comforter out and ensure it’s even on all sides. Add a throw pillow to the end of the bed for an added touch. Fluff and arrange all of the pillows. Getting a bed ready for photos isn’t a quick task. Allow plenty of time to arrange these during the morning when the pictures will be taken. 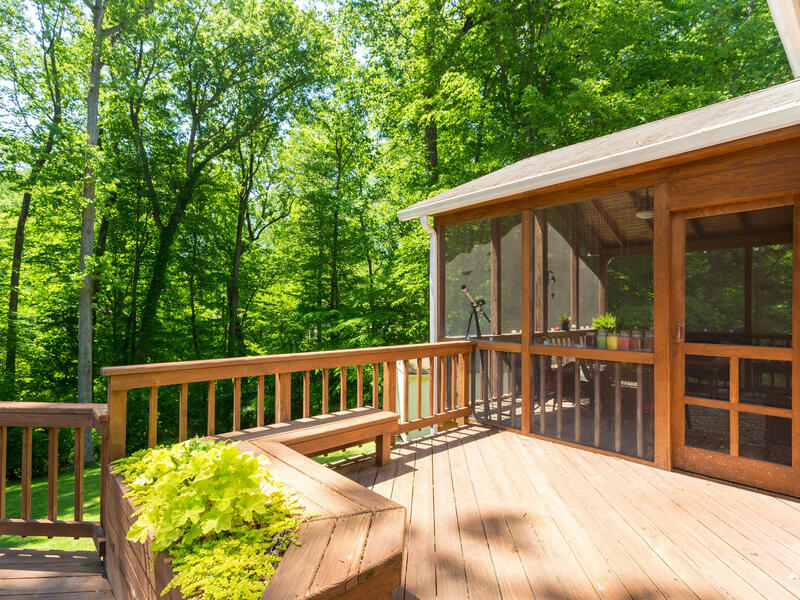 You'll want the potential buyers to view your home as a relaxing space. What better way to give them that idea than to fix the bedroom? 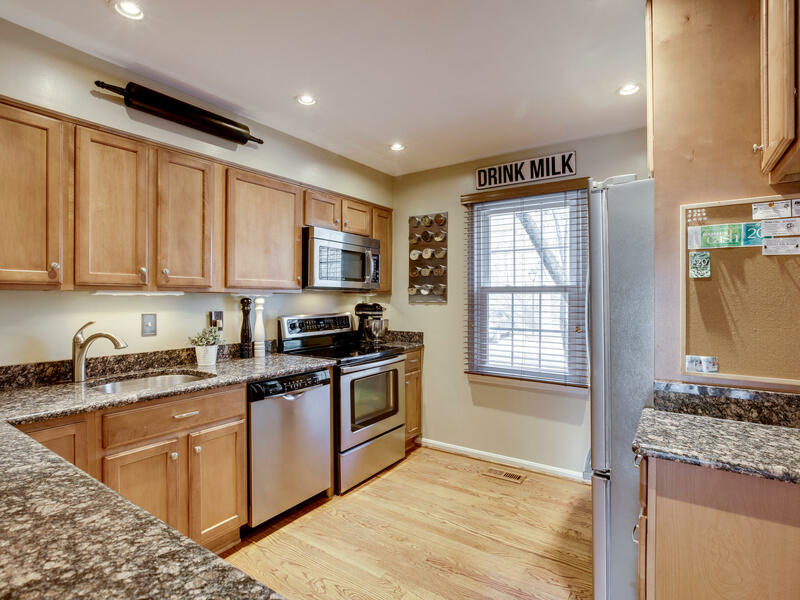 This one is a pet peeve of mine anytime I see it in photographs of a home for sale. Make sure toilet seats are all down. Nobody wants to see what the inside of your toilet looks like, regardless if there's nothing there to see. If you have a professional photographer, they’ll likely put them down for you or if your agent arrives prior to photos commencing to walk through your house, they probably will too. But, regardless of who takes care of it, just make sure it gets done. Sure, your furry friends might be the most adorable thing in the world for you but who's to say that the potential buyer thinks so, too? Not all people are animal lovers. Some might even be allergic or traumatized just by seeing animals. So, no matter how cute they are, make sure that your pets are out of thr picture when taking a photograph of your home. It goes without saying to remove your pet the day of photos but, don’t forget to remove your pet's belongings too. Beds, bowls, and food storage should not be photographed nor should they be present for showings either. Some buyers do not want to purchase a home if its apparent pets live there. 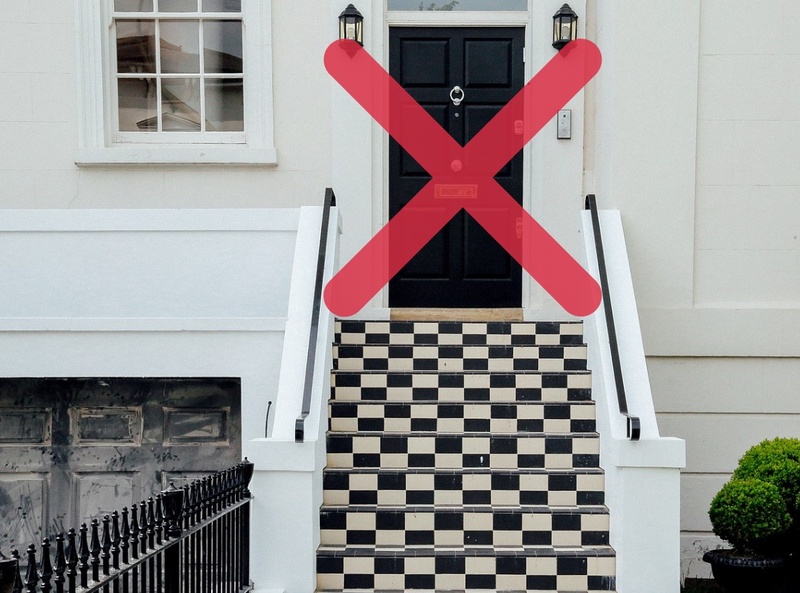 You might easily ignore the importance of the front door, but this is usually a key factor in sealing the deal with a potential buyer. Place an attractive flower pot leading up the walkway or on a pedestal by the front door; something with an inviting color that doesn’t overwhelm the space. Adding something by or near the front door gives a welcoming vibe in photos. The surrounding environment of your home plays a huge part in its attractiveness. Having a beautiful and neat landscape would send potential buyers flocking from all corners. Make sure to trim trees and bushes, pull weeds, mulch flower beds, and mow the yard. If the weather hasn’t warmed up enough for the grass to grow and there are bare spots with dirt showing in the yard, have sod put down. Having a touch of gorgeous nature would give potential buyers the idea of having endless days of peace and relaxation. Remove cars from the driveway and garage. If you have any sports equipment in the driveway or in front of the garage, it should be removed as well. Always remind yourself that you are selling the home. You wouldn't want potential buyers to think that your car is up for grabs too, right? This would save you possible inquiries in the long run. If you have pets, make sure the yard is free of any calling cards they’ve left. If you have children, remove their toys – there shouldn’t be any random items left out in the yard on picture day. The garden hose is an item that is often overlooked and it should be put away if it's lying on the ground. All the windows in your home should be closed for picture day – blinds, however, should be open. Don’t forget to clean them prior to the photographer coming. Having open windows would make your house look more welcoming. From the inside, it also gives off beautiful natural lighting. Download a free copy of our 75 point photography checklist. If your cabinets are laminate they should not be painted over. There are companies that specialize in re-facing laminate cabinet doors and this is a great way to create a new look without fully replacing your cabinets alaltogetherIf your cabinets need attention in the form of painting, re-facing, or replacement but, it’s not an option financially your home should be priced accordingly to account for their age along with their condition. If you want to get top dollar for your home updating the cabinets will help you achieve your goal. This can in my opinion be a tricky one. 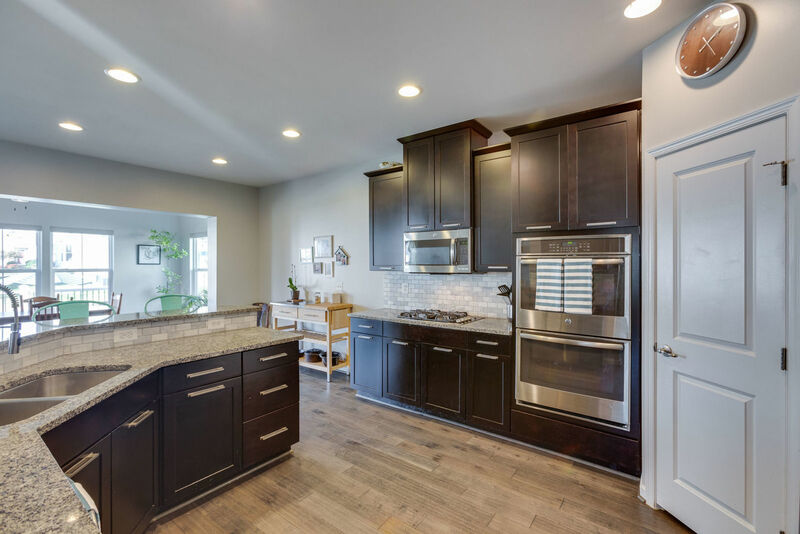 Stainless steel is still sought after in my market and there are buyers who specifically want a home with stainless steel appliances. It’s also one that I tell buyers not to get hung up on because appliances are super easy to replace. 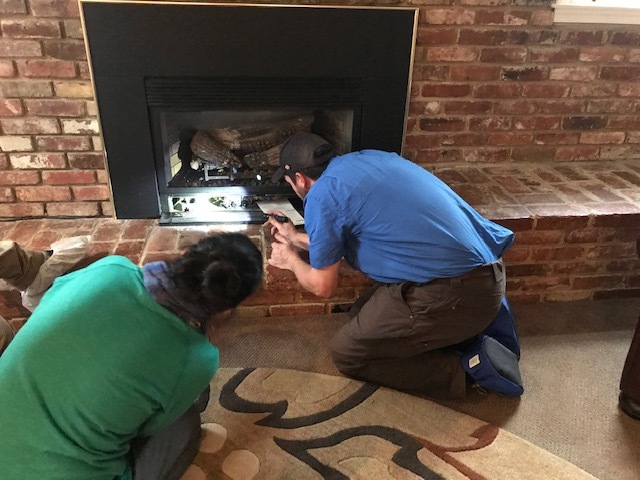 For my sellers, if you are planning on selling your home soon and all of your appliances are fully functional I don’t recommend replacing them. If they’re ancient or don’t go well together (i.e. every appliance is a different color) that’s a different story and something I evaluate on a case by case basis. If you do opt to replace your appliances prior to putting your home on the market I don’t recommend going the high end route because you won’t see a strong ROI. Kitchens see a lot of activity and it’s easy for the paint to get stained, chipped, and just plain worn out looking. Paint is another budget friendly way to give your kitchen (and the rest of your house for that matter) a fresh feeling. 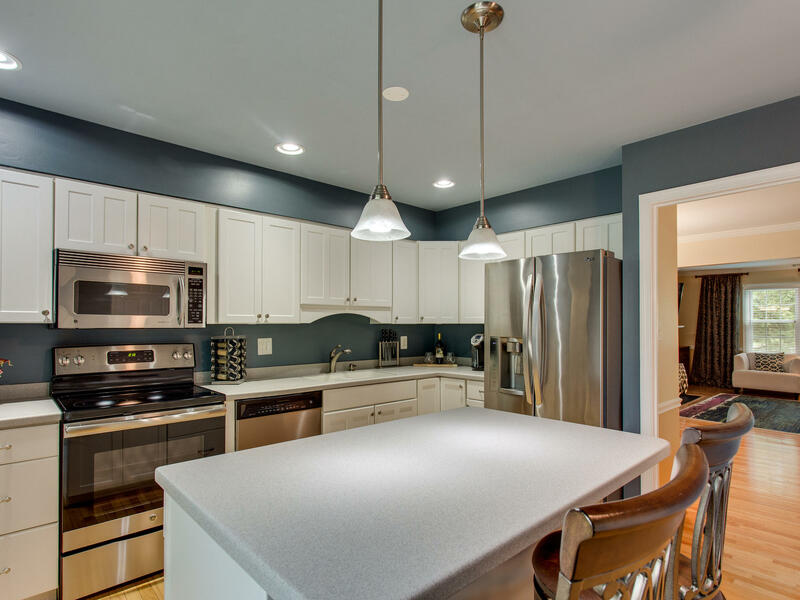 Kitchens are tedious to paint because of all the brushwork they require but, if you’ve got a little experience painting and some patience it’s a great way to see a solid ROI.